Adventure Publications will soon have a book about bats. We have asked the author of Bat Basics: An Introduction to the Life of Bats in the United States & Canada & Their Many Benefits, Karen Krebbs, to share with us how it all started. Here is her story. I fell in love with bats when I was a college student at The University of Arizona. I had always been amazed by these unique mammals, but college actually let me get up close and personal with bats. Field trips and camping sessions with the mammalogy class allowed hands-on experiences with the bats, and I was forever lured into their world. I volunteered with local bat biologists and gained important insights that launched me into a lifetime career as a bat biologist. How can you not love a mammal that flies in the dark, using its ears as eyes to navigate the skies? Their sonar is far more sophisticated than anything that humans have developed. They come in all shapes and sizes, and they never cease to amaze me. I have studied and researched bats for more than 45 years, and I am still learning about them. Long hikes, cold evenings, sweltering heat, storms, and freezing creeks and streams have not discouraged my attempts to better understand bats. I have had the opportunity to study bats in the field in the southwestern U.S. and northern Mexico. A trip to Costa Rica was exciting when I had the opportunity to work with a famous bat biologist. I handled more fruit bats there than I had ever seen in the past. I was hoping we would capture a vampire bat, but this species eluded us. I have handled the largest bat in the U.S., right down to the smallest and everything in between. Mexico was home to numerous nectar, fruit, and bat species that were very unique. I will never forget the naked-backed bat in Alamos, Sonora. This species has no hair on its back! I hope you will explore the dynamic life of bats and dive into their world! About the author: Karen Krebbs worked at the Arizona-Sonora Desert Museum for more than 26 years; she now works on her own as an independent contractor. She has extensive knowledge of birds, mammals, deserts, and animal adaptations and behavior. 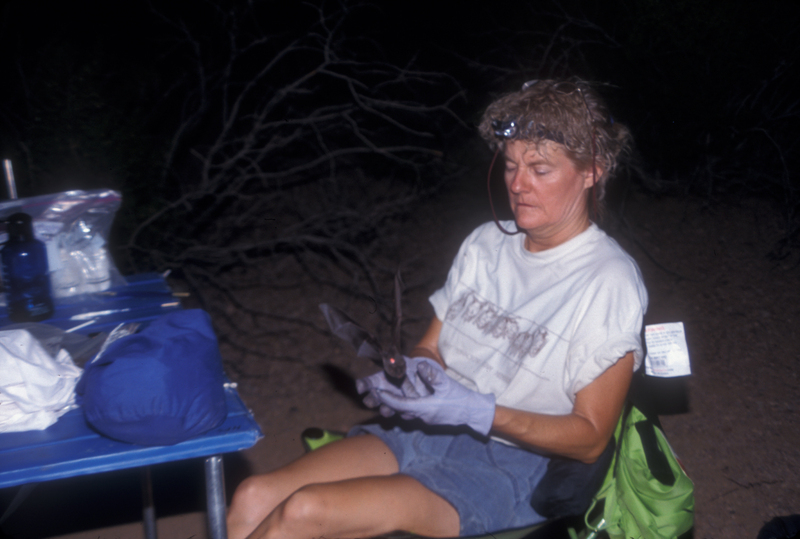 Karen has carried out bat research in the United States and Mexico for more than 30 years. She trains biologists on the proper protocol for handling and studying bats. Karen regularly carries out workshops and presentations on bats and birds to groups, schools, festivals, and organizations in the southwest and Mexico. 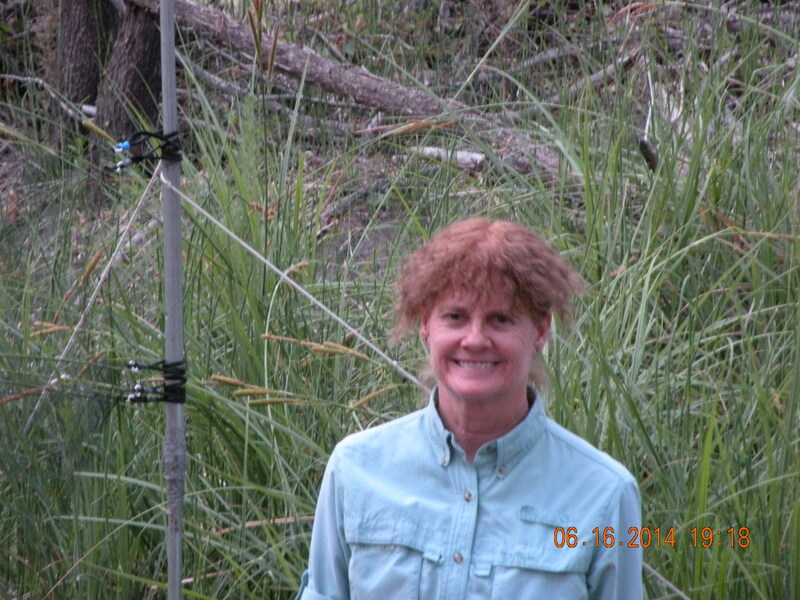 Her long-term inventory and monitoring program for bats in the Chiricahua Mountains continues in its 20thyear of study. She has written articles, books, and manuals on bats and birds. She has collaborated with other researchers on many bat research projects with local government agencies, universities, Mexico partners, and nonprofit organizations. 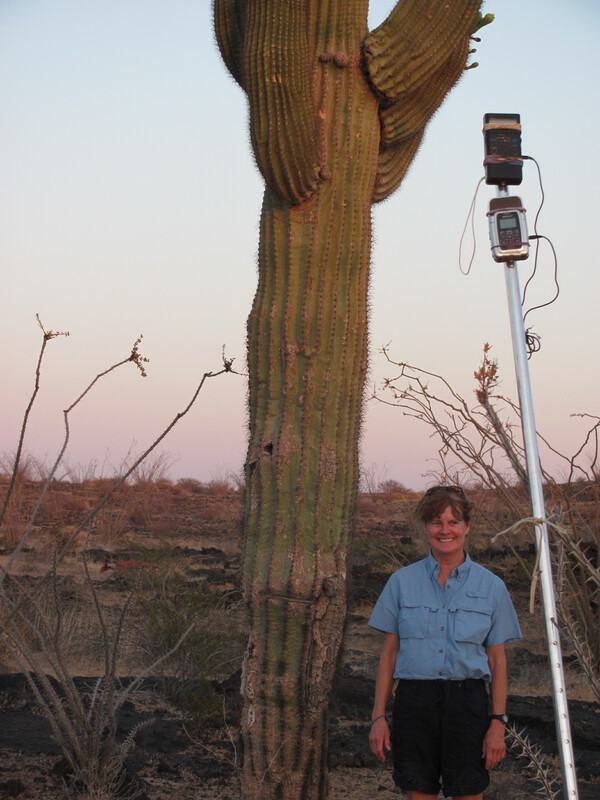 Karen has participated in natural history learning trips in Arizona, Texas, New Mexico, Mexico, Baja, Costa Rica, Africa, Galapagos, and Ecuador. Karen’s passion for bats is contagious! Her animal lectures and presentations are exciting and fun! Karen has a B.S. in Wildlife and Fisheries Science from the University of Arizona. Karen’s latest books include Desert Life: A Guide to the Southwest’s Iconic Animals and Plants & How They Survive; Desert Life of the Southwest Activity Book; and Explore Tucson Outdoors.